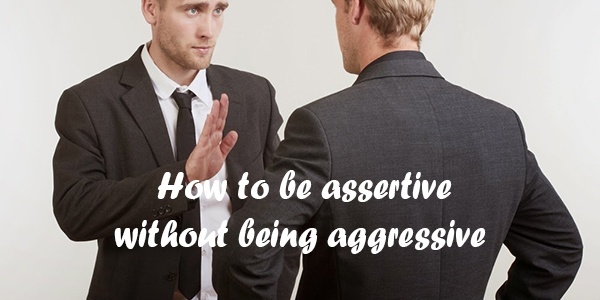 How to be assertive… without being aggressive. How to be assertive without coming across as aggressive or getting angry is a question I’m frequently asked. If you are in the right place emotionally and mentally, then becoming aggressive is rare, however, people who have a short fuse have a stress bucket that is too full so the place to start is with dealing with one’s own issues. In the short term, here are some strategies you can use. These strategies are most effective when you can learn to remain in the intellectual part of your mind. Of course these strategies are situation dependent and remember that you are dealing with different people and different personality types so you will need to experiment and practice to discover what works best for you. The way other people talk and how they project themselves can sometimes come across as aggression. Their directness can be misinterpreted and misunderstood. If there is no rational reason why this person should be talking to you in an abrupt or aggressive manner, they probably aren’t. but if you feel under attack you will automatically react defensively. Don’t react in the moment, think about what might be their positive intention instead, or just accept it as that’s how they are. Following on from above, if someone appears to be angry or annoyed and there is no rational reason why they should be angry or annoyed at you, then they probably aren’t. People will have other things going on in their life, their own stresses, worries and concerns. It might be unfair for them to project their moods onto you, but it happens, give them some space to be in a bad mood, don’t make it about you. If you feel yourself becoming angry and annoyed or defensive, find a way to step out off the situation. Don’t react and don’t act on your own anger it will only inflame. Step out of it, you can refuse to get into an argument, it be appropriate to make an excuse, you may be able to just turn your back and walk away. It might leave the other person angry for a while, but there is absolutely no point in carrying on with conversation out of anger from either person, so leave it until you have both calmed down. If you find you have gone to the anger part of your brain, zip it! Do not say anything because you know that what you do say will be received badly. It’s best to say something inconsequential or not at all, or say something like ‘I’ll have to get back to you one that’. Do not say what’s on your mind. If you are calm, then how you project yourself will be received in a positive way. Be rational, keep your voice soft and smile. If you are calm people around you will stay calm. 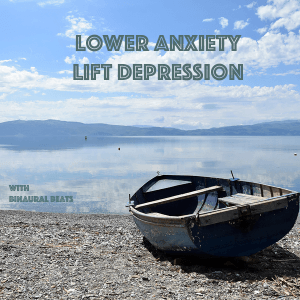 As an anxiety levels rise our thoughts turn inward to ourselves and we are only thinking about how this applies to us, We stop listening to what the other person is actually saying and we use our imagination to decide what they are meaning instead and we will imagine a negative context for that. Listen to what the other person is saying and if you find you are thinking negatively about it change your perspective. The best time to be assertive in when you are in a good mood, so if you need to talk to somebody about a difficult situation, wait until you are in a good mood and you can discuss it with that person rather than do it when your anxiety levels are high. 8. State your case and shut up! When you state your intention in a positive way without ambiguity then people around you can accept it or go away it’s their choice and quite frankly not your problem. If you know that you have positive intention then it is up to the other person to decide how they going to deal with that and it might take them a little time so allow them the time they need. The worst thing you can do is to keep talking it will give them room to manoeuvre and time for your anxiety levels to rise, so don’t go there; state your intention and be quiet. 9. Dealing with difficult people. In our life there will always be people we find difficult to deal with if you need to more assertive with one of these people then it’s best not to tackle it head on. If you find your butting heads with the same person over and over again – stop it, because unless you change something you are doing, you will keep going round in the same circles. I wrote blog called “How to control a control freak without them knowing” that contains strategies for dealing with difficult people. Last but not least, remember you can’t change or control how somebody else reacts or behaves, you can only change the way you are dealing with it. So if you want someone else to change you have to change yourself first. These are all dependent on situations, context and people involved but the two overriding factors in all of this are staying calm and operating from the intellectual, rational part of your brain and remembering that it’s not about the other person and what they’re doing. You have complete control over how you behave and what you say and assertiveness can be positive, it’s up to you. If you find yourself in a situation where you keep repeating the same scenario or feel you’re not being heard change your tactics. Anger is primitive way of increasing strength to fend off wild animals and other work tribesman when we are under attack, being calmly asserted takes practice and you might not always get it right first time but keep practicing and it will get easier and those people around you will come to trust your calmness and know that you are being positive. You may even meet some resistance initially, especially if its the same people involved, and they might even try to ‘push your buttons’ and get you to react in a way they understand because the ‘new you’ will throw them, but if you stick to your resolve not to react, just be positive, calm and state your case in a positive manner, they will change their reaction and accept your position. If you change, they cannot help but change their reaction.